- Alabama White Shepherd Rescue - ADOPTIONS - Rescue Me! 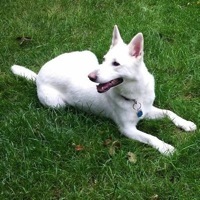 White Shepherd Dogs adopted on Rescue Me! Ritchie can't wait to be 'Your 1 and Only Dog.' These dogs do not play well with other pups, but they love people. This map shows how many White Shepherd Dogs are posted in other states.